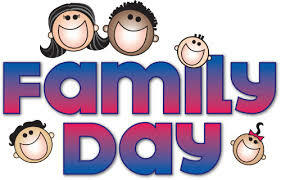 While we always enjoy spending time with our families, after all we are a family company, we never like what happens before the Family Day long weekend. Or really any long weekend in fact. The thing is, Realtors never like to list right before a long weekend which inevitably means listings drop the week before the long weekend and that creates what we like to call the real estate inversion. Before the long weekend there are a lot of sales and hardly any new listings and right after the long weekend there are a lot of new listings but not as many sales. Freehold listings followed this predictable pattern and are up 10% over the previous week yet remain historically low when looking at inventory over the past few years. Of course, the Spring market has sprung so we do expect to see the listing inventory climb as we proceed to the warmer months. While sales were down over the previous week they continue to outpace new listings. Perhaps a silver lining for last week was that the number of Freehold properties that sold in bidding wars eased off slightly from 77% to 61%. Sorry, but we don’t expect that to be a trend moving forward. Bidding wars are here to stay for the foreseeable future. The condo market has always been a little different around the long weekends and bucked the pattern with a decline in listings (down 27%) and a decline in sales (down 18%). Bidding wars followed a similar decline to the freehold segment going from 71% to 63%. Holding back offers and bidding wars are a newer experience for the condo market and we are confident that with some practice it will follow the same long weekend trends the freehold market observes. If you are a follower of the long weekend calendar method of buying and selling real estate you have just over two weeks until March Break. Happy Buying and Selling.